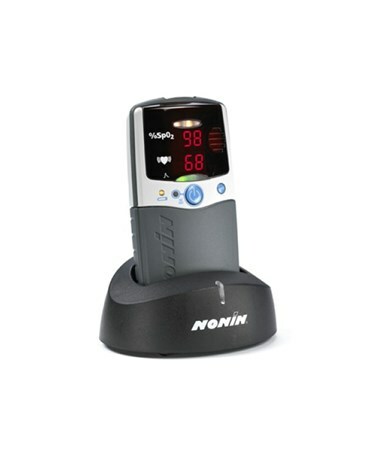 The Nonin PalmSAT® 2500 Handheld Pulse Oximeter is a small, yet versatile digital pulse oximeter, designed to accurately assess oxygen saturation and pulse rate. It combines advanced technology and algorithms based on years of invaluable clinical experience to provide a wide range of functions, making it useful in a wide range of healthcare locations, from hospitals to sleep centers to dental offices. 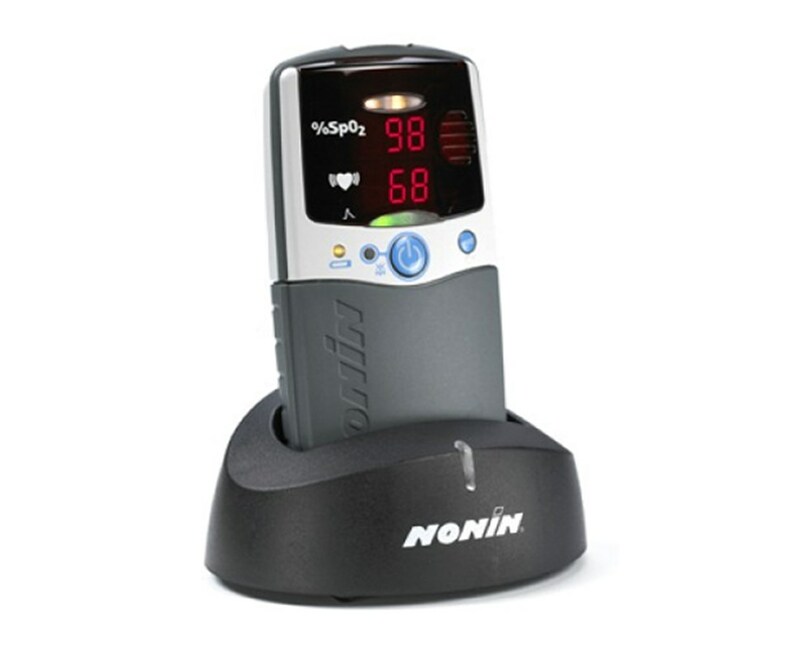 Its compact size, exceptional battery life, and ease of operation make it ideal for portable monitoring in all locations and situations, on patients of all ages. Features: The PalmSAT® 2500 provides a staggering 72 hours of data storage and is compatible with nVision® SpO2 software (sold separately) for seamless transfer of data to a PC for analysis, report generation, and additional storage. 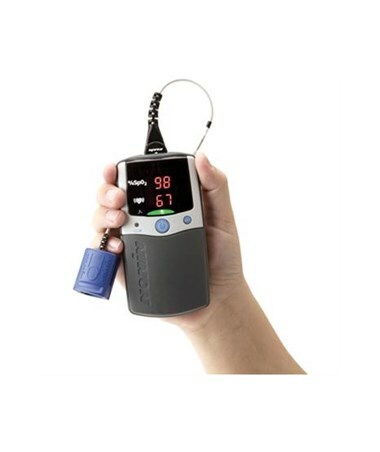 Size and Memory: The oximeter's two-button operation and large tricolor LED display ensure easy use and readings. Despite its compact size - only 7.5 oz. and 2.8"x5.4"x1.3" - it provides up to 80 hours of use before necessitating charging (charging station sold separately) or battery changes, with a low battery indicator. Four AA batteries are included for your convenience. Sensors: The included comfortable, flexible sensor is durable and easy to clean. 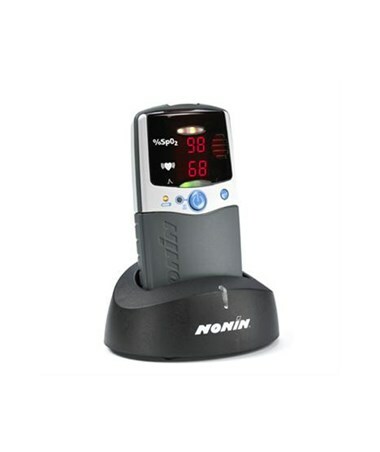 The oximeter is also compatible with Nonin's full line of PureLight® sensors in all sizes and types. A three-year warranty ensures peace of mind and instrument quality. Simply click add to cart for hassle-free ordering!